Opening hours: Most shops open Mon-Fri 9am-8pm and Sat 9am-12am. Some shops also open on Sundays. Malls generally open daily 10am-10pm. Restaurants and bars stay open very late, opening at about 8pm and serving until well after midnight. 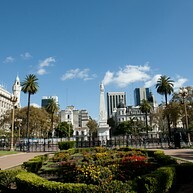 Surrounded by the Casa Rosada (the presidential office), the Cabildo (former seat of government during colonial times), the Banco de la Nación and the city's main cathedral, Plaza de Mayo is the very heart of Buenos Aires and civic life and thus where most of the city's rather frequent protests take place. 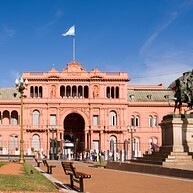 Centrally located on the Plaza de Mayo, the Casa Rosada ('pink house') contains federal offices and was once the president's residence. The famous balcony where Eva Perón would speak is visible on the facade, but the interior can also be explored during free half-hour tours on weekends. 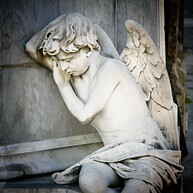 Everyone who is anyone in Argentina's history is likely to be found buried in Cementerio de la Recoleta. The seemingly endless rows of tombs and small mausoleums are the final resting places of former presidents, generals and historic figures, including the much beloved Eva Perón. Argentina's best and most important art museum houses impressive collections from some of the most celebrated names in both national and international art, including Cézanne, Solar, Picasso, Van Gogh, Degas and Rembrandt. 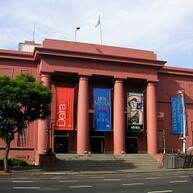 The museum itself is beautiful and surrounded by the lovely greenery of the museum district. Once an important port and centre for European trade, Puerto Madero has been completely redeveloped into a busy daytime business district and a trendy nightspot full of classy restaurants, cool bars and tons of hip porteños strolling along the water enjoying the night air. A more traditional, if a bit bohemian, part of town, San Telmo's cobblestone streets and colonial style houses are all about antique-hunting, people-watching and tango. The streets are lined with top-notch steakhouses and quaint shops where you can get lost for hours. Be sure to check out the Sunday market for great deals on some unique antiques. Though it was once a busy shipyard where European immigrants settled after coming in search of work, this colourful and vibrant neighbourhood has developed into a fashionable centre for trendy galleries and boutiques. Tourists flock here to snap a shot of the colourful Caminito, where painted metal shacks reflect the area's past, and to pay a visit to one of football's most legendary stadiums. 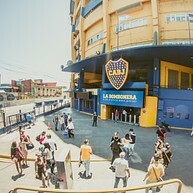 The Bombonera Stadium is home to the Boca Junios football team, former club of the legendary Diego Armando Maradona, which boasts what is perhaps one of most passionate fan-bases in all of football. You can explore the club's history at the Museo de la Pasión Boquense, and if you're lucky enough, you might even be able to score some tickets to see the action live. 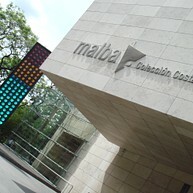 The Museum of Latin American Art of Buenos Aires (MALBA) is one of the country's, and perhaps the continent's, premier art museums, boasting astonishing collections and temporary exhibitions. 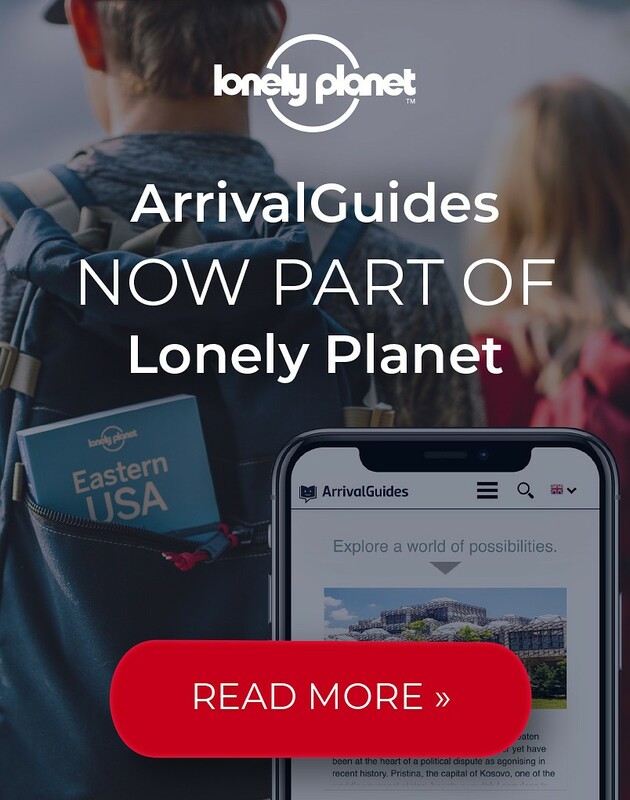 One of the main draws is the enormous 19th and 20th century Latin American exhibit, but be sure to check out the cinema and the wonderful gift shop, as well. 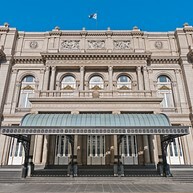 Often considered one of the top opera houses on the planet because of its acoustic quality, architectural magnificence and stunning beauty, Teatro Colón is perhaps the best place in Buenos Aires to enjoy some of the finer performance arts. 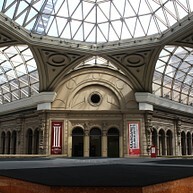 The constantly changing program includes some of the world's best orchestras, operas and ballets. This cultural centre, named after one of the country's best and most beloved authors, Jorge Luis Borges, hosts an astonishing variety of performances and exhibitions. From ballet and tango to experimental theatre and orchestras, indie films, photography and art expos, you are sure to find something interesting during your visit. Every Sunday at Feria de San Pedro Telmo, in the heart of the San Telmo neighbourhood, a fascinating market takes place that covers the square and surrounding cobblestone streets with antiques and handicrafts, and the whole area bustles with life and music and eager shoppers searching for that rare find.